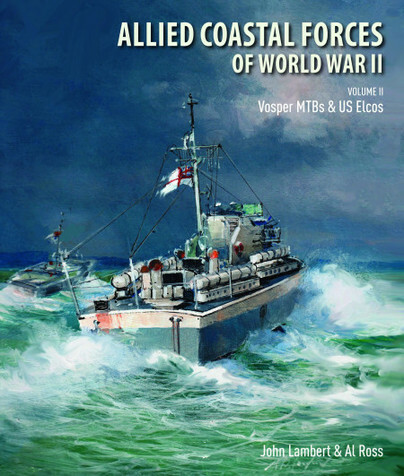 This second volume covers sixteen Vosper MTB designs and the US 70ft, 77ft and 80ft ELCO designs. US-built Vosper designs supplied under lease-lend are also covered, while weapons systems and machinery are dealt with in detail. Some 700 finely detailed drawings were drawn by the authors for this second volume in their highly acclaimed two-volume work. The authors, firmly established as the recognised authorities on small warships, unearthed a remarkable body of information now included in this major work, and their finely detailed drawings, redrawn form original builders’ plans, offer an unparalleled view of all these remarkable designs. The new and redesigned editions of their work will be welcomed by naval enthusiasts and modellers alike. AL ROSS II is the author of several books on small warships and since the 1980s has been producing a series of plans for modellers of small combatants of the Second World War and Vietnam eras. He lives in Bangor, Maine, USA.